Committing to do a particular deal or transaction with another- are you allowed to back out of the deal, and under what circumstances? Hiring a someone to do a service- can you cancel the job before he has started working? Is there compensation owed for the loss of revenue? Committing to buy a product or service, and the work has been done- what if you no longer need it? What if circumstances arise that are beyond your control? Practical applications of these categories abound in our everyday interactions, from the business world to babysitters. Listen to the full recording below to learn more. It started when we received a challenge from our generous donors: Raise $25,000 and it will be matched, dollar for dollar, for a potential $50,000! We accepted the challenge- to raise $25,000 between February 18th and 20th. 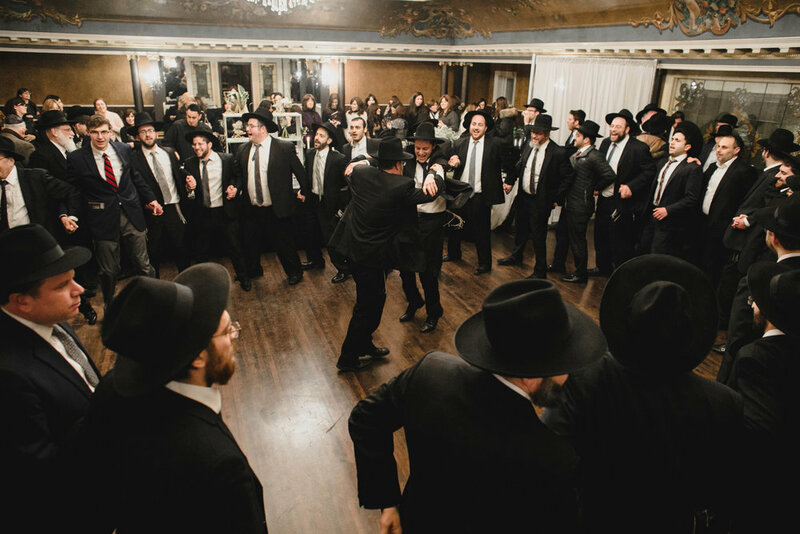 This was more than the Kollel had ever raised through a crowdfunding campaign. (Gulp…) Off we went! The Kollel staff and scholars mobilized to draft support for this vital campaign. We tapped in to relatives, friends, long-lost cousins, passing acquaintances, innocent bystanders… and our amazing community of Torah supporters. It came down to the wire, but in the end, we did it! Scratch that- YOU did it, all of our generous supporters who came together to make this campaign the success it was. An ode to the amazing power of community! Thank you to our matchers! Thank you to all 210 donors (and counting) who donated a total of $26,636. Thank you to all of the esteemed members of the Kollel who invested their hearts and time into this campaign. Finally, thank you Hashem, for giving us Your Torah- to cherish forever!! It began with was what some may call chance- but after it was over, everyone recognized it was the Ultimate Premier pulling the strings. On his way from Bozeman, Montana to his home in Jerusalem, R’ Yosef Mendelevitch realized that he had an 8-hour stopover in Minneapolis. Never one to waste time, R’ Mendelevitch graciously offered to visit the community and shared some (unprepared) remarks. The arrangements were quickly made and over 150 people came on a couple hours’ notice to hear the personal struggles of a real Jewish hero. R’ Mendelevitch in his humble and witty way told of his underground Jewish activism in Soviet Russia and his repeated attempts to escape. When their scheme to hijack an aircraft was discovered by the KGB, R’ Mendelevitch faced the prospect of the death penalty but ultimately served “only” 11 years in Soviet prison. He displayed superhuman strength and will while fiercely holding onto his Judaism. Those in the audience were visibly moved by the sacrifices R’ Mendelevitch made to wear a Yarmulka, and keep kosher and Shabbos. 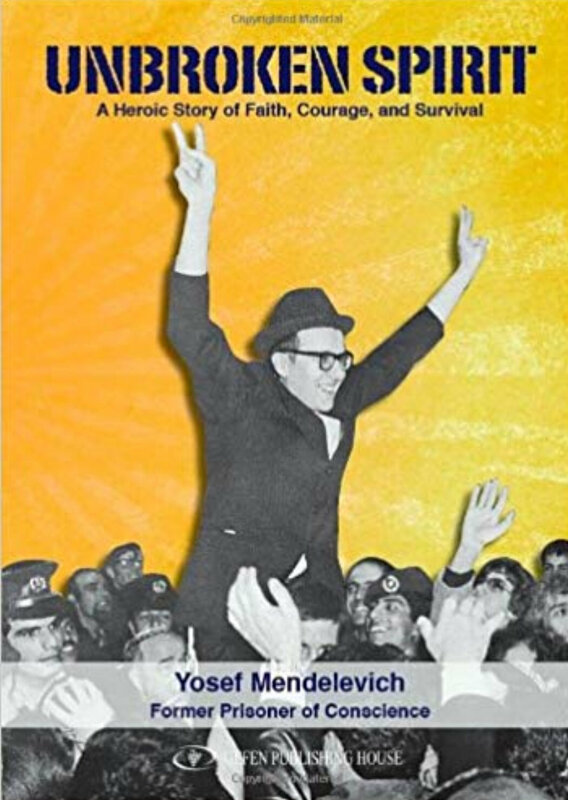 A hunger strike and international pressure ultimately had R’ Mendelevitch released and “expelled” to Israel in 1981. It was indeed a tremendous merit to host such a true Jewish hero. For the full speech, see below. Listen or download audio below. They said people wouldn’t show up...and you did, overwhelmingly! An overflow crowd of 200+! They said flights would be cancelled...and they were, but modern technology affords us a suitable substitute to hear words of inspiration from HaRav Uren Reich! They said it would be dangerously cold...and it was...but nothing a few remote starters, valet parking, hand warmers and a community of hardy souls couldn’t handle! They said we couldn’t cater an event on a third floor with the elevator frozen...and Prime Deli and crew did a splendid job! The simple message in all of this is to persevere through life’s obstacles...but on a much, much, deeper level, most of these things weren’t even much of a question. When we have a Divine mission, a Torah to live for, it changes our perspective on everything entirely. We didn’t just persevere, we celebrated together with genuine simcha! To the point where we can honestly say that while to some all of the above seems impressive, for our community, is it really surprising?! Relive the Siyum with the pics and video here. 2018 was a year of growth and fortitude. We had some incredible accomplishments and endured some difficult challenges, but through it all your consistent support continues to drive the engine of tremendous Torah growth in the Twin Cities and beyond! We welcomed three new couples, Rabbi Dovid & Mrs. Chaya Gitty (Idstein) Bodner, Rabbi Yaakov Nesanel & Mrs. Elisheva (Brog) Finkelman, and Rabbi Yehuda & Mrs. Leah (Seidman) Wolin. The Kollel completed its in-depth study of Meseches Eiruvin (laws of carrying on Shabbos) from cover to cover! Come back soon for more about the Grand Siyum on January 30th. We are producing Sefer Rivevos Mayim, composed of the insights of the Kollel Rabbis on Eiruvin. The local Kinyan Mesechta chabura, led by Rabbi Shlomo Rothstein, completed their study of Meseches Sukkah. The sound of Torah learning can be heard in the Kollel on an almost constant basis, from early in the morning until late into the night; and even on Friday night! The afternoons are especially lively, with the Kollel Rabbis, Rebbeim from Torah Academy and Yeshiva of Minneapolis, boys from Torah Academy after school, and the entire 12th grade of the Yeshiva, all coming to learn! 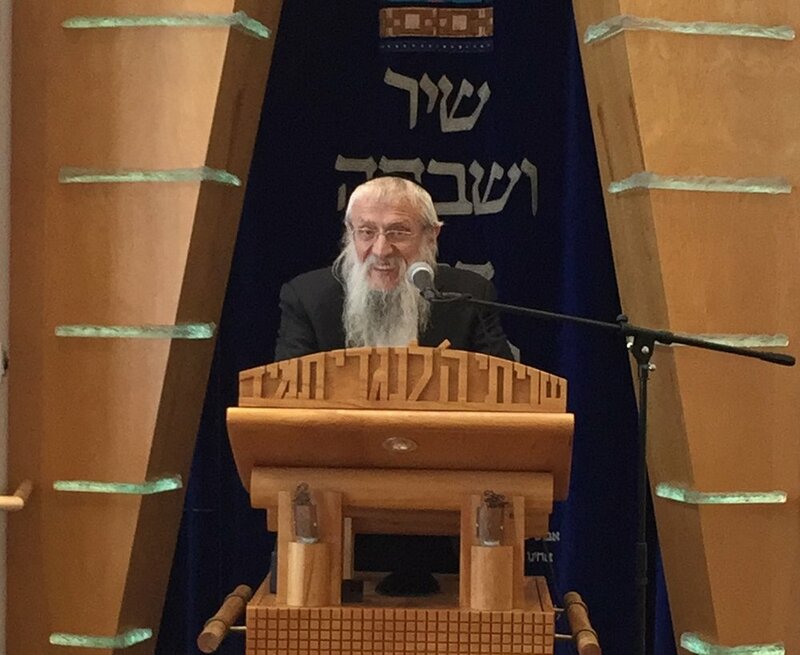 The Kollel and the Kenesseth Israel Learning Community came together to host a fabulous Shabbaton at the Oak Ridge Conference Center in March, featuring renowned lecturer Rabbi Yaakov Salomon. Once again, the Kollel collaborated with Mrs. Giti Fredman of Aish to create an incredible Challah Bake for the International Shabbos Project. Over 400 women attended, and a tremendous time was had by all. The Kollel provided logistics and back-end support. The crowd consistently overflows from the Kollel Library for one of our most popular programs: The Business Breakfast. Topics included online price mistakes, the role of Beis Din, fair pricing, and the interface between halacha and technology. Yarchei Kallah sessions on legal holidays continue to be highly popular. This year topics included Tefilas HaDerech, Techeiles, Tefillin on Chol Hamoed, where to light the Chanukah menorah, and Moshiach. 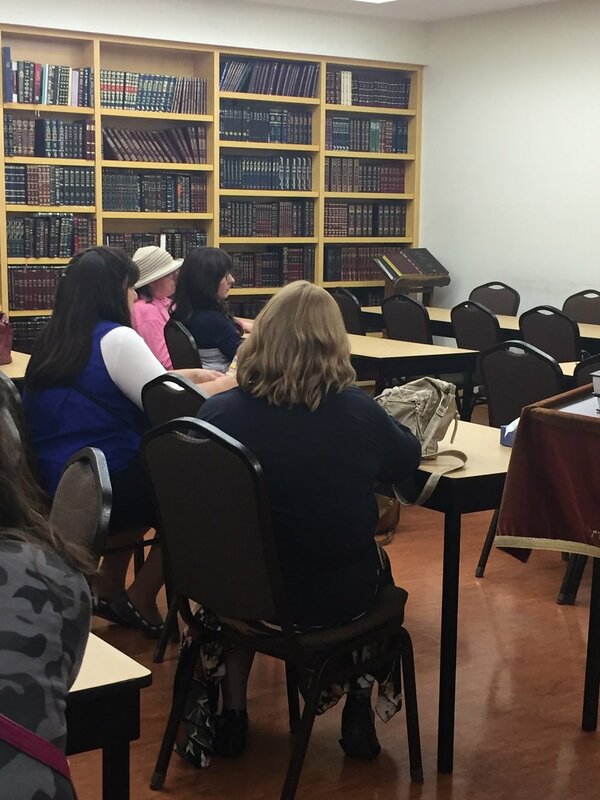 Following the Memorial Day Yarchei Kallah on Tefilas HaDerech by Rabbi Yaakov Kaufman, Mr. Ron Mandelbaum came to the Kollel with the idea of creating a Guide to Tefilas HaDerech for the Twin Cities. If you don’t have one yet, stop by the Kollel to pick one up, complete with a map of the optimal locations to say Tefilas HaDerech when traveling from Minneapolis/St. Paul, the full text of Tefilas HaDerech, and selected halachos. Thank you to Ron, Rabbi Kaufman, Rabbi Yechezkel Greenberg, and Rabbi Aharon Stauber of Lakewood for collaborating on this project. See the Events/Programs/Classes tab for the full list of our ongoing classes, and find one that fits for you! This summer, WPIT debuted Positive Parenting, a guided forum for parents of young children to gain Torah- and experience-based tips and inspiration. The 6-week session left participants wanting even more, and WPIT is gearing up for the next session. WPIT LIVE events included Purity: An Evening of Inspiration for Yom Kippur, and an Add Some Color to Your Winter paint night. The Women’s Guide to Purim; The Complete Pesach Shopping Guide; and Keeping Cool & Kosher, a guide to the kashrus of popular summer treats; all with Rabbi Eli Markowitz of CRC Kosher. Megillas Rus: A Lesson in Chesed, with Dayan Yehoshua Posen of London. These are just some of the highlights of 2018. We look forward to partnering with you for an even more incredible 2019! Thank you for your unwavering and warmhearted support! How and when will Moshiach come? Plus some incredible stories and depictions that will surely give you a renewed appreciation of Moshiach. Audio and source sheets below. It with mixed emotions that I share with you the news of the Lowingers' plans to relocate to Chicago this summer. There's a lot to say and feel, but I'll let Rabbi Lowinger share his thoughts that he expressed in the following letter to the community. As many of you may know, this summer my family will be relocating to Chicago where I will be assuming a position in a Yeshiva. This was a difficult, personal decision for us, and I share this with mixed emotions. The Kollel and the community have afforded me a couple of tremendous years of growth and fulfillment and I will greatly miss the sincerity and the warmth in which we were enveloped. When I first came to Minneapolis a couple of years ago, I immediately felt an appreciation of why R’ Elya Svei, my Rosh Hayeshiva, held this community in such esteem, and that feeling has only grown. Farewells are always difficult, but I look forward to making the most of the remaining months here in this incredible makom Torah! R' Yossi, we will definitely miss you as well! We also look forward to using the next few months to do everything necessary to ensure that the Kollel continues to be the exceptional Torah that it is- in no small part because of you! Where’s the best place to put my menorah this Chanukah? Outside my door, inside the door, in the window- but which window? Not too high, and not too low. What takes priority, to publicize the miracle to the world outside, or to those inside my home? After Thursday’s Yarchei Kallah, we have the answers. After those who crowded the Bais Medrash delved deep into the relevant sources, Rabbi Uriel Gross delivered a comprehensive overview, clearly delineating the optimal locations to light in, and the priority of the various options. Want to hear the shiur? Audio and sources below. This Sunday’s Business Breakfast was a fascinating exposition of how halacha meets the modern world. We welcomed once again Rabbi Zev Cohen, founder of the Chicago Choshen Mishpat Institute. In his unique and engaging style, R’ Cohen explored the methods of acquisition in halacha. He began with the question of the sous vide and added layer after layer. Forklifts, timers, magnets- what does the halacha say? Where does human input end and technology take over? Intrigued? Listen to the audio below. -How do we make the most of the day while simultaneously caring for our families? -How can we experience Yom Kippur even though we’re not in shul all day? -And how do we best transmit the concepts of Yom Kippur to our children? This past Sunday evening, the latest Women’s Partners in Torah LIVE event focused on these questions, and more. 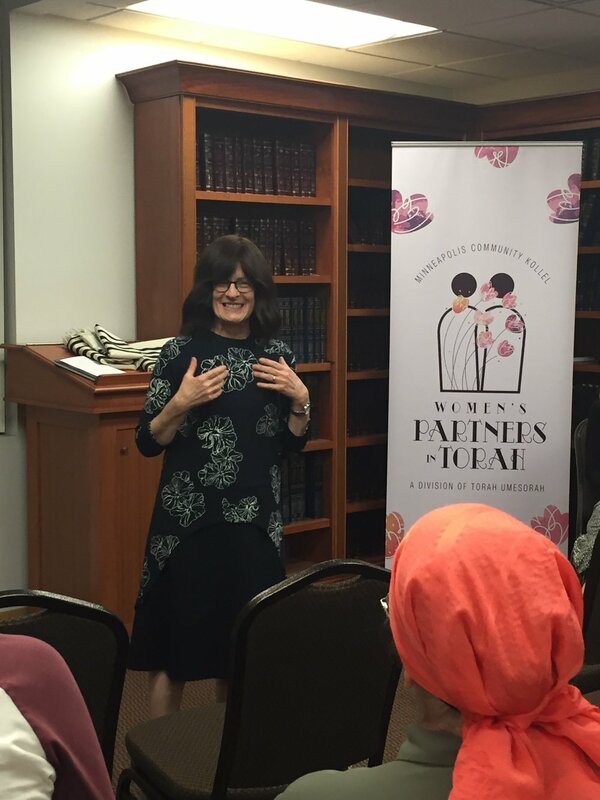 Three rotating workshops led by Mrs. Nechama Idstein, Mrs. Basya Trenk, and Mrs. Shulamit Gibber gave women insights and tips for the Jewish woman’s task on Yom Kippur. 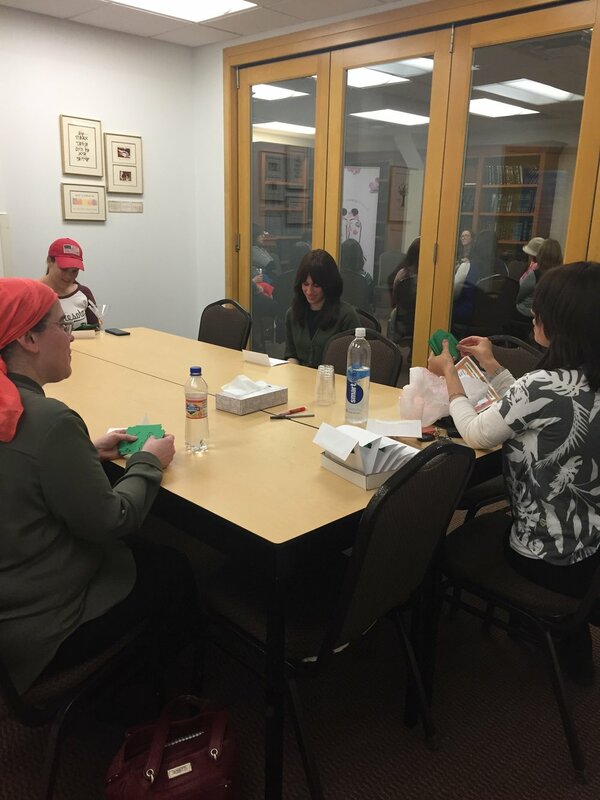 The event was also an opportunity for women of the community to meet our new Kollel women. A delicious fruit bar was enjoyed by all, and Rebbetzin Suri Gibber capped off the evening with words of inspiration.